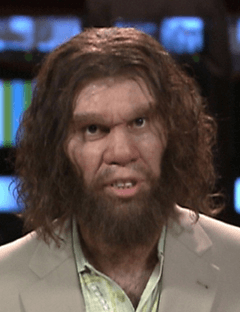 So what is caveman technology? Allow me to explain. see... it IS so easy a caveman did do it. Growing up as the youngest of 8 children we often took driving vacations and occasionally we would drive from New Jersey to Missouri and Illinois to visit extended family. The trips were a lot of fun especially when we went spelunking or caving (cave exploration). I recall on one of these trips when it was over 100 degrees outside, we were drained - the huge local pool was sold out and we needed a cool alternative so we went spelunking. As we approached the cave they handed out parkas to the guests, I couldn't believe it. I welcomed cooler temperatures, so I was reluctant to take one. I got the look from my mother so I took one. I was in heaven when I felt the cooler temperature of the cave, but it didn't take long for me to put on that parka. Later as an adult I visited France, again in the summer. We took a nice side trip to the Cave Art Paintings of the Niaux Cave. It was again chilly, but I didn't care, the chance to see some cave art was too irresistible to pass up. The cavemen routinely cooled off in caves and by the way they also used the warmth the caves provided in the winter. Although it is doubtful that these cavemen knew that they were taking advantage of geothermal temperatures of the earth, but it is a very effective and renewable way to heat and cool your own home, this is caveman technology. There is a liberating almost romantic feeling we get when we think one day we will not need our local energy company. With the new technology this one time daydream can be a reality when you use renewable energy. Geothermal for heating and cooling and solar for electricity. Now off the grid is possible when you live in the more rural areas where there is no electricity service and no natural gas, but in the suburban or urban areas you will still be 'on the grid' but there are benefits that accompany this such as a low or non-existent utility bill. 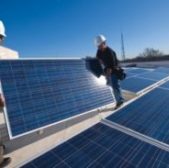 Solar is a great renewable energy product to reduce electrical energy needs and most people are aware of solar. Something similar to geothermal has been used since the cavemen. In fact cavemen have been the first geothermal users. They knew to use the caves in the winter to keep warm and caves in the summer to stay cool. If you have ever vacationed where you explored a cave, you would know that they are warmer in the winter and cooler in the summer. Geothermal heating and cooling is used to condition buildings and even produce hot water or it can be tied into an existing swimming pool - which has the added benefit of warming the pool. Geothermal uses the earth's temperature along with a heat pump to heat and cool living or work spaces. In the western US as with many other areas in the world, the heat is held in the ground nearer to the surface, which may make geothermal heating more desirable than other locations. The process to install geothermal either requires drilling into the earth's surface to tap into the earth's heat for the ground sourced heat pump to do its intended job or be installed in a body of water, like a swimming pool. Any of these applications may qualify for the 30% tax credit from the Federal Government, contact your tax professional to see if you qualify. It is important to note that having geothermal installed at your home or place of business may mean that the surrounding landscaping or even paved areas may need to be dug up to get the geothermal system installed unless the swimming pool method is used. Any affected landscaping all able to be reconstructed after the installation. It is important to note that just about wherever you are located a ground source heat pump coupled with a geothermal system and solar energy can dramatically reduce or even eliminate dependence on other energy sources. What is a Heat Pump? - This is an established way of heating and cooling properties, but to some this may be new. The most common type of heat pump is the air-source heat pump. This equipment transfers heat between your house and the outside air. If you heat with electricity, a heat pump can trim the amount of electricity you use for heating by as much as 50%-75%. The Geothermal heat pump is a little different. 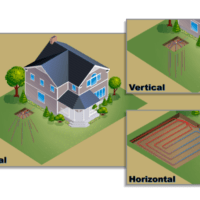 Ground Source Heat Pumps (GSHP) and Geothermal: Much like air-source heat pump, the ground source heat pump uses the ground instead of the atmosphere to transfer heat. The heat pump used for geothermal is a called a ground source heat pump. 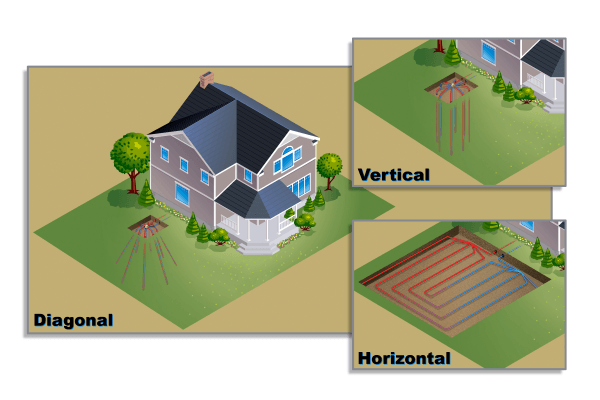 There are two specific types of ground-sourced heat pumps used in geothermal installations. These geothermal heat pumps use water or refrigerant to transfer the heat instead of air and they both differ. The Ground sourced heat pump that uses the water medium circulates water in plastic pipes that have been placed in holes in the ground to transfer the heat for conditioning a space. The Ground sourced heat pump that uses refrigerant circulates it in copper tubes also placed in holes in the ground to transfer the heat for conditioning a space. The holes can be bored: Straight down, horizontally or diagonally (more flexibility in the way the holes are drilled). Distance of drilling required: Typical drilling depth is 150 feet/per ton of cooling (half the requirement of the water medium heat pump). From a clearly financial standpoint the refrigerant based system costs less because the depth of the drilling is half the distance (drilling is charged by the foot) and it also does not require a circulating pump. Since copper is a better thermal conductor the temperature difference to the earth can be greater (which makes the refrigerant based system a more efficient medium for heat transfer). Read the following article by John Tomczyk about geothermal and it is instrumental in better understanding how these systems work. 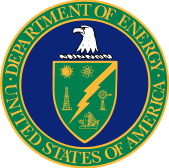 For a limited time the Federal Government is offering a 30% tax credit (without any cap) on geothermal heat pump cooling and heating systems. With the current government and economy it is unclear how long rebates and tax credits will remain available to the public. The 30% credit with no cap is very desirable, and this is why people are choosing to have this installed this year. 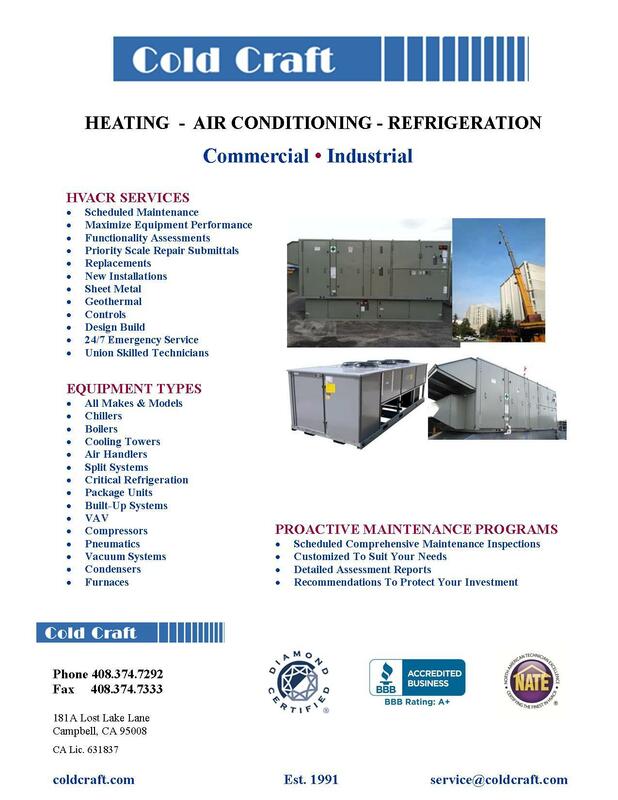 Commercial locations looking to install geothermal can also get a lease program through a Cold Craft, Inc. to increase cash flow. Geothermal heating is a fairly involved process and an investment. For more information about the process and a free estimate for those that qualify, please give us a call to learn more at (408) 374-7292 or check out geothermal on our site.